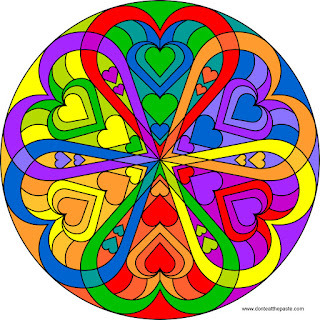 Thanks so much for all these beautiful mandalas! I am printing a few - complete with link - for a health fair at a senior community. I think it's a wonderful coloring project. I love hearing things like that, it's so inspirational. 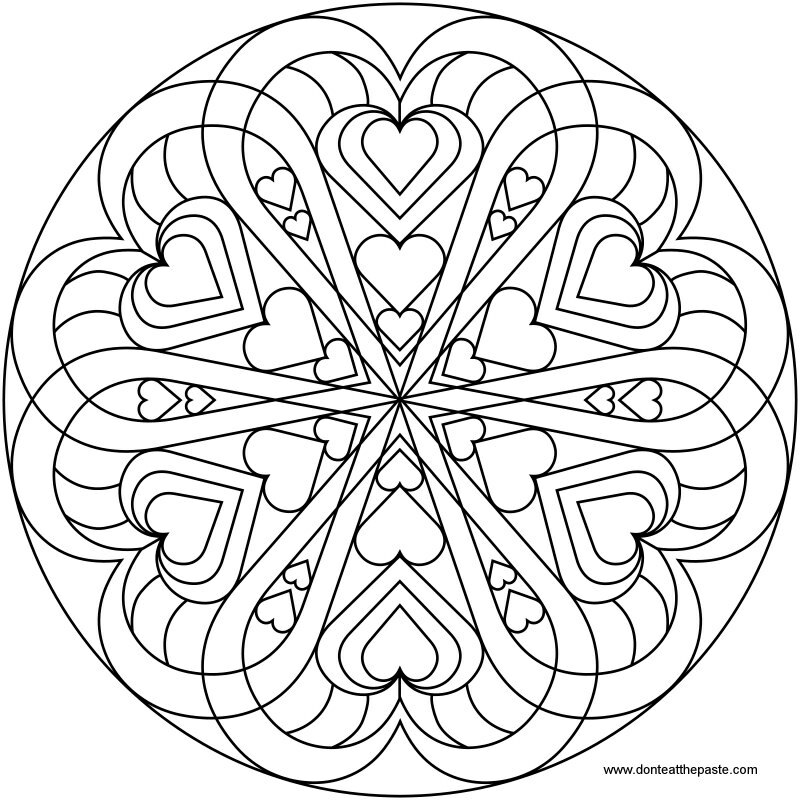 thanks for the mandalas. 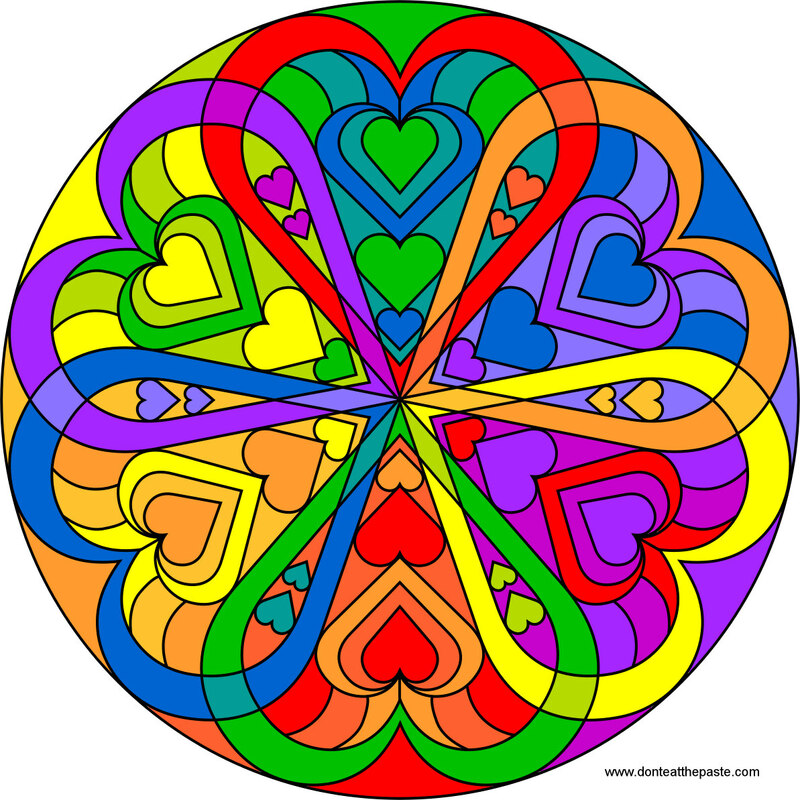 I love it that you gave a colored picture of the mandalas also.. I went to a wellness conference for people with major depression and took a hour class for art therapy. After I had finished I felt totally relaxed. 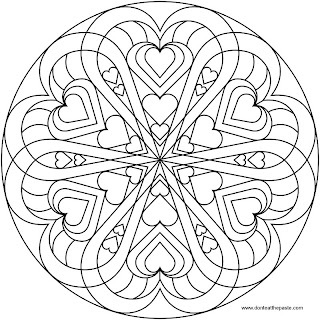 The art therapist told us the that we were coloring mandalas. She also told us where to go online to print some. I could not wait to get home and look it up. Thank YOU so much. thanks! I am a yoga kids teacher. Fantastic for Valentine's day !